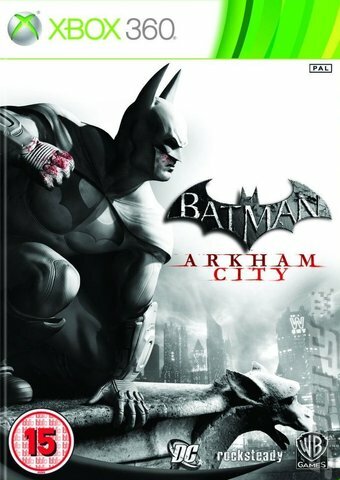 BUAT YG BELUM BELI GAME NYA DAN MASIH MIKIR2,,SILAKAN CEK REVIEW-NYA DIBWH INI..
At a press conference held by Bruce Wayne to declare his opposition to Arkham City, Wayne is arrested by Hugo Strange's Tyger mercenaries and is himself imprisoned in Arkham City. Strange discloses his knowledge of Wayne's dual identity as Batman before releasing him into the criminal populace. While Strange prepares for the commencement of Protocol 10, Wayne escapes from Penguin and obtains his crime-fighting equipment via airdrop by Alfred Pennyworth, allowing Wayne to become Batman. As Batman, he is first forced to save Catwoman from being executed by Two-Face who hopes to gain respect with her murder. 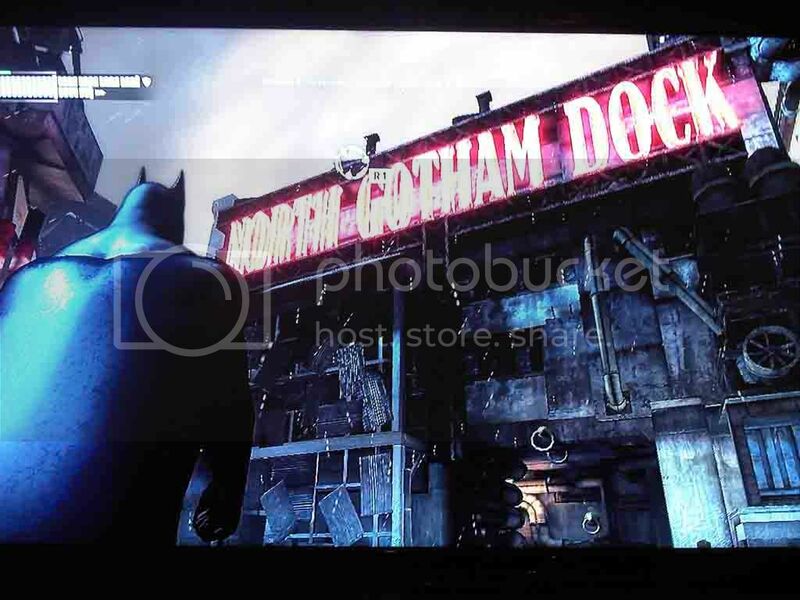 After an assassination attempt on Catwoman by the Joker, Batman tracks the Clown Prince of Crime to his hideout in the Sionis Steelworks, believing he may know the truth behind Protocol 10. Batman learns from Joker's doctor that the unstable properties of the Titan formula are mutating in Joker's blood, gradually eating away at his body and killing him. 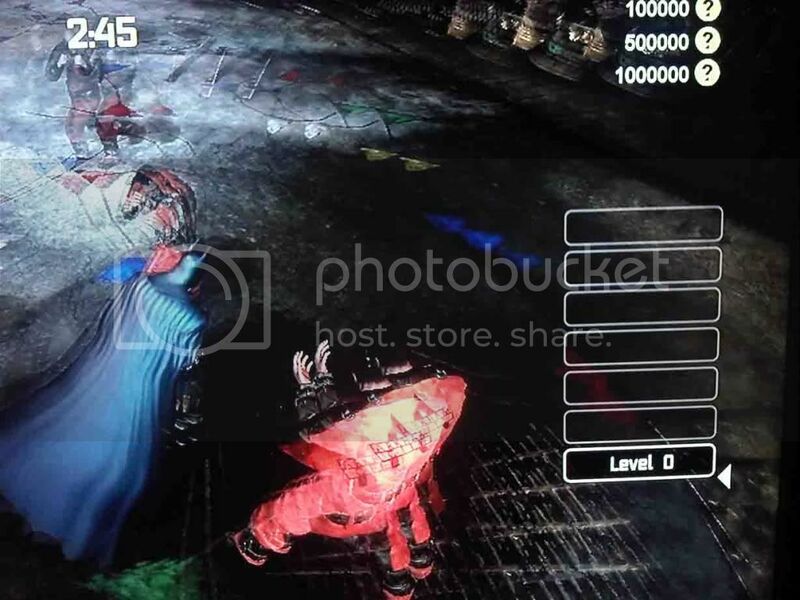 The Joker captures Batman and performs a blood transfusion on him infecting him with the same fatal disease. Batman is forced to find a cure for himself and Joker, or they will both perish. Batman is informed that Mr. Freeze had been developing a cure but has since been kidnapped by the Penguin. Batman pursues Penguin to the Cyrus Pinkney National History Institute: defeating his forces, his imprisoned monster Solomon Grundy, and ultimately the Penguin himself, before liberating Mr. Freeze. 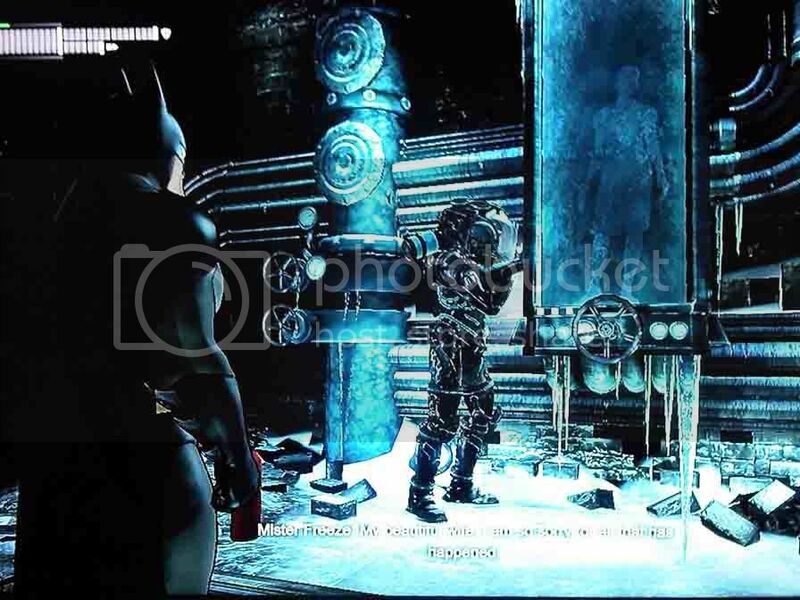 Freeze tells Batman that he has already developed the cure, but its instability renders it useless. Batman deduces that the restorative properties within the blood of Rā's al Ghūl can complete the cure. Batman tracks one of Rā's al Ghūl's assassins to his lair in Wonder City, leading Batman into a confrontation with Rā's and his daughter Talia — Batman's former lover. With Rā's al Ghūl's blood, Freeze is able to develop a vial of working cure, but it is stolen by Harley Quinn before Batman can use it. 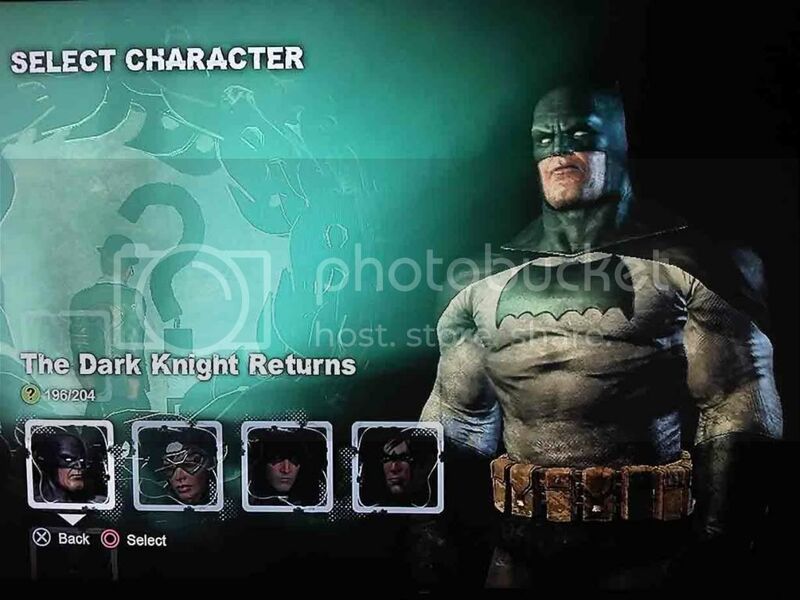 Batman returns to the Joker and finds him to be fully healed. 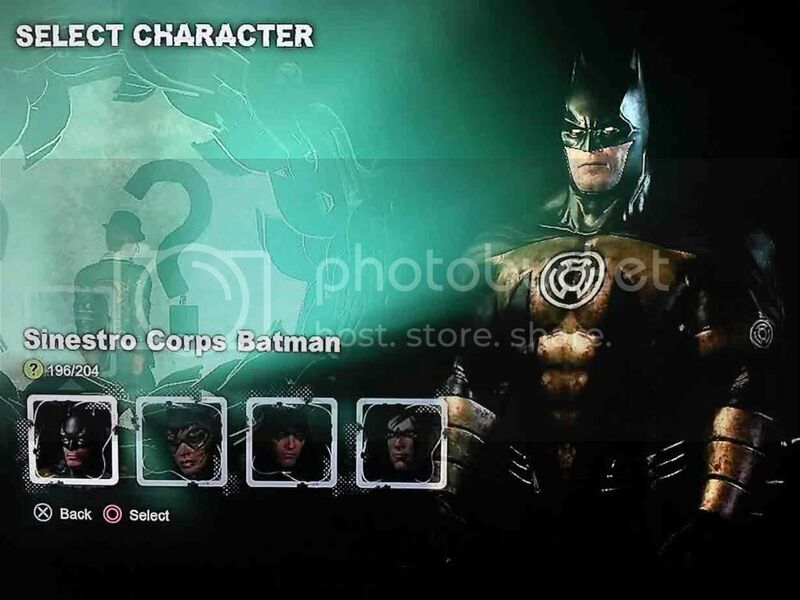 While Batman and Joker fight, Protocol 10 is activated — A scheme to wipe out the entire population of Arkham City, destroying the criminal element of Gotham. The Tyger troops begin mass executions of prisoners, and Strange launches missile strikes from his base in Wonder Tower. A missile hits the steelworks, burying Batman under rubble. 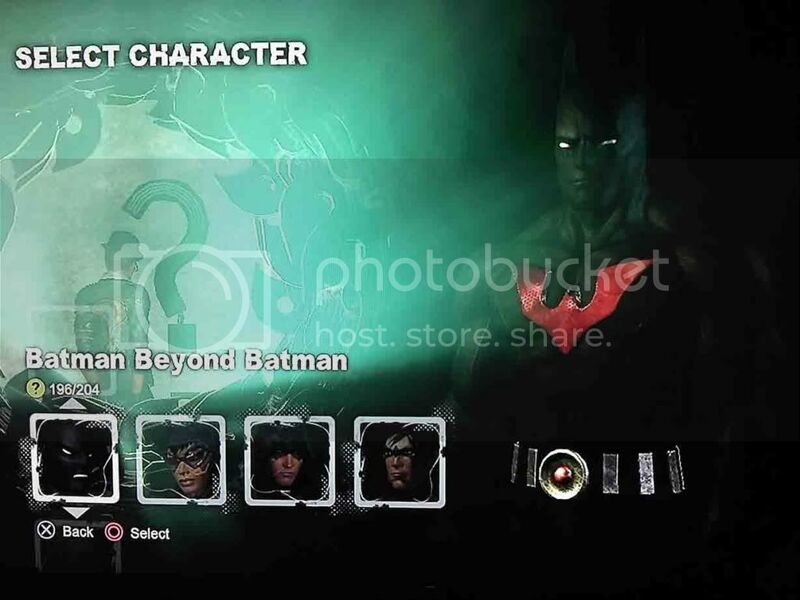 Before Joker can take advantage of the situation, Talia arrives and offers him immortality in exchange for sparing Batman's life. After Batman escapes with the help of Catwoman, Batman is convinced to put an end to Protocol 10 before pursuing Talia and Joker. 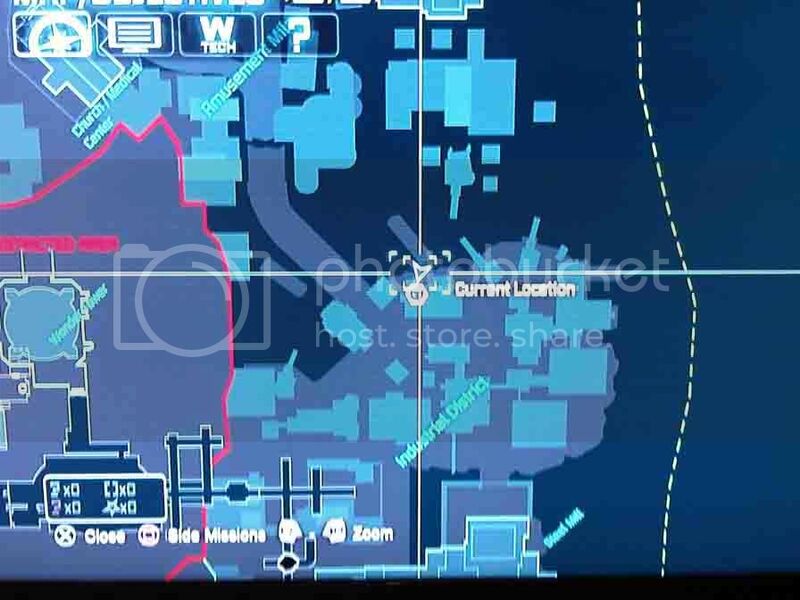 Batman infiltrates Wonder Tower and disables Protocol 10. 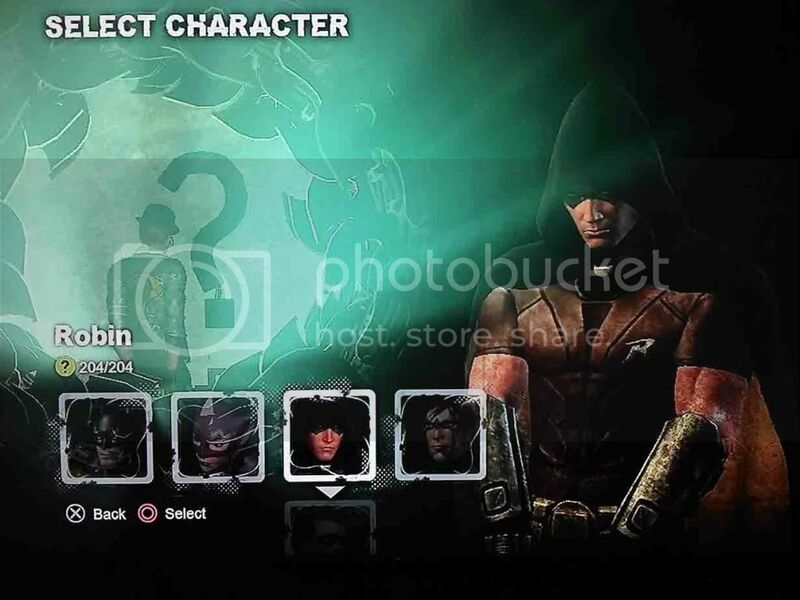 Rā's al Ghūl is revealed to be the mastermind behind Arkham City, and mortally wounds Strange for failing to defeat Batman. With his dying breath, Strange activates Protocol 11 - Wonder Tower's self destruction. Batman and Rā's escape and Rā's commits suicide rather than risk capture. Joker contacts Batman, threatening to kill Talia unless Batman comes to the Monarch Theater. As Batman arrives, Joker demands the cure. Talia takes advantage of the Joker's momentary distraction and kills him. 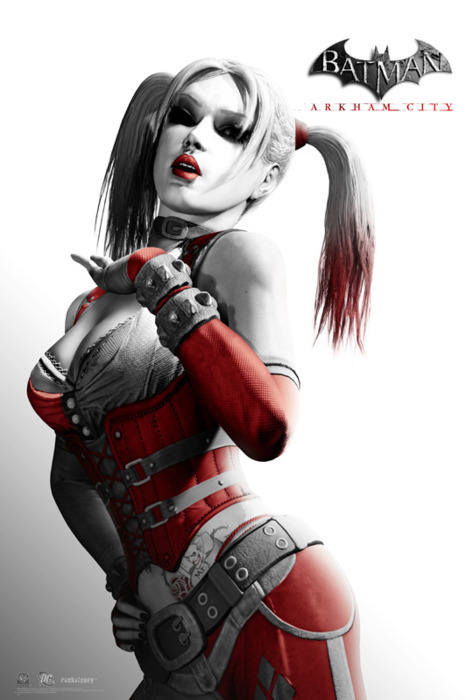 Talia then reveals that she has the cure, having intercepted it from Quinn, but she is killed by the real and still dying Joker. The second Joker is revealed to be Clayface, who had been masquerading as the healed Joker at the ailing villain's request. 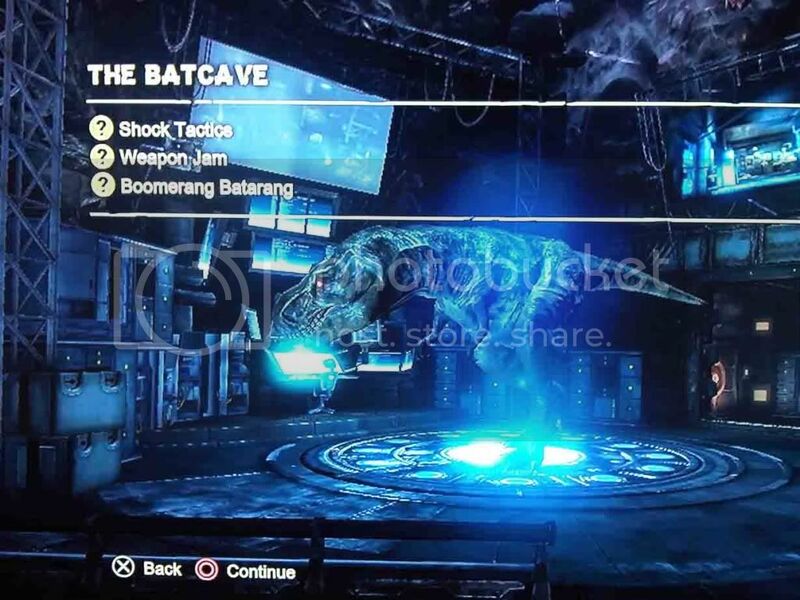 Batman incapacitates Clayface, but Joker blows up the theater floor, sending Batman plummeting into Wonder City below. Batman destroys Rā's rejuvenating Lazarus Pit before the Joker can use it, and drinks a portion of the antidote. Batman debates curing his foe, but is attacked by the Joker, causing the antidote vial to smash. Batman maintains that in spite of everything Joker has done, he would have saved him. 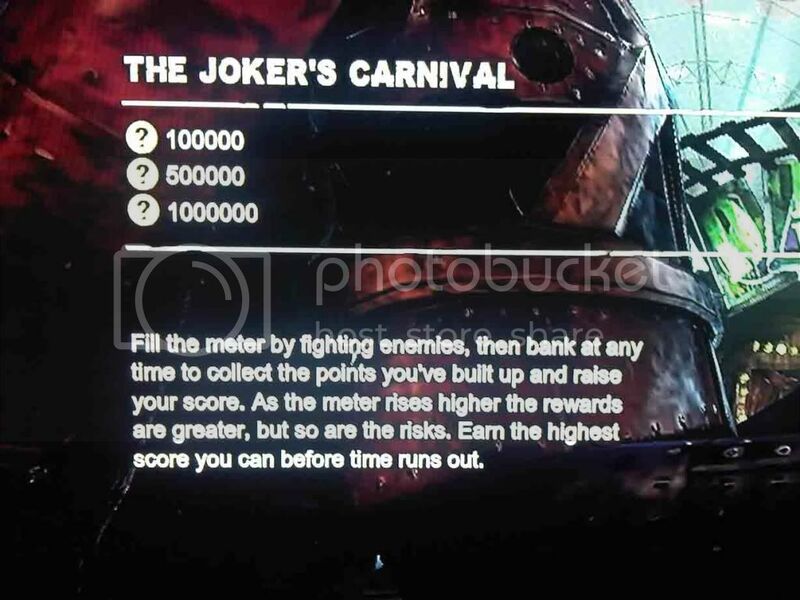 Joker finally succumbs to his illness and dies. Batman carries Joker's body out of Arkham City into the winter dawn. Spoiler for INITIAL TROPHY,,have you got it all..?? 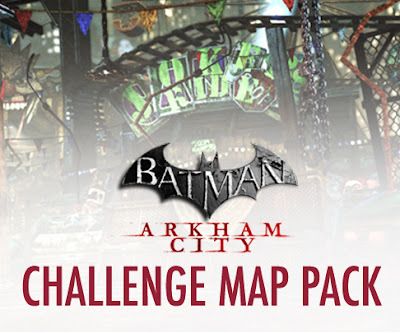 Jump off the tallest building in Arkham City and glide for 1 minute without touching the ground. 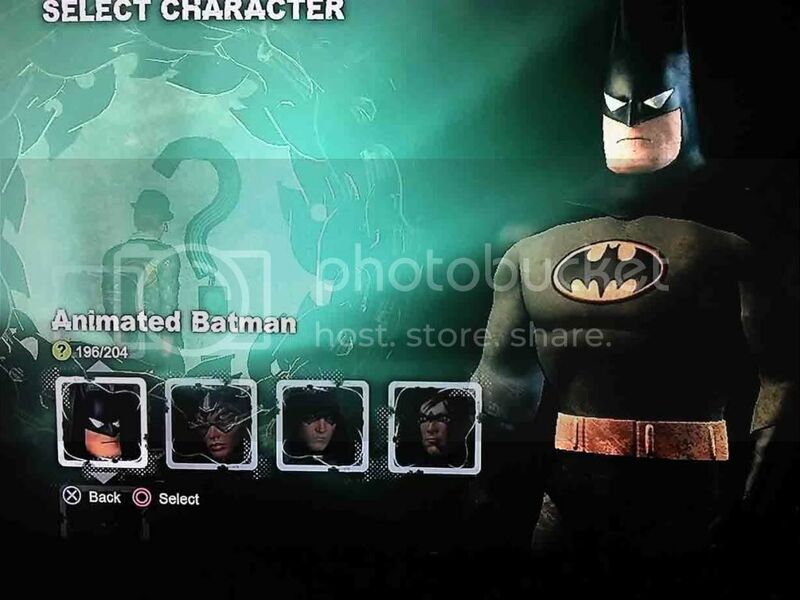 Skin pack ini merupakan tambahan costum batman yang bs kita pake pada main story dan atau main story+ (new game+) setelah menamatkannya. Dan juga bs digunakan dalam riddler's revenge. 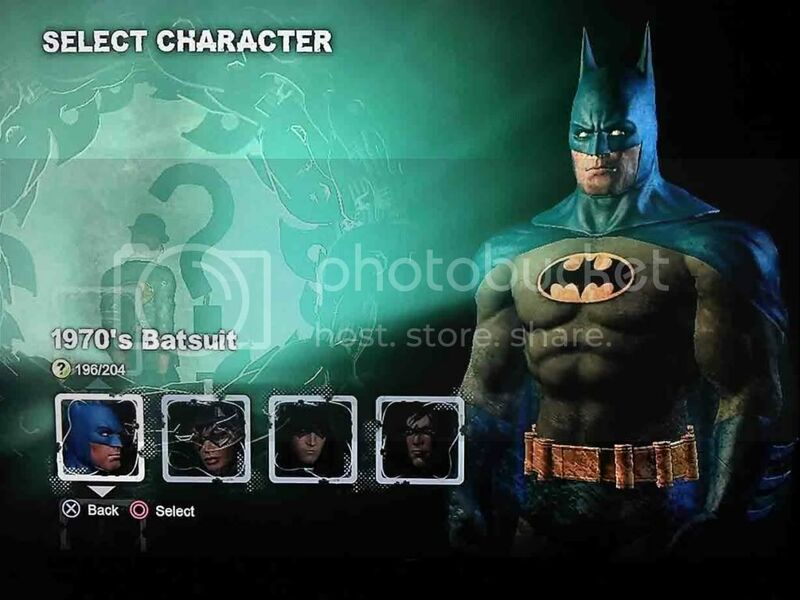 Selain itu jika membeli skin pack ini,agan juga mendapatkan Character Trophies (3D character models) masing2 skin,masing2 skin gayanya beda2 gan........penting ga penting sih,,hahah..
Pertama kali donlod,sy kira ini hanya map combat biasa dengan target poin yang luar biasa tinggi; 1000000 (1 juta) poin utk dapat 3 medal!! 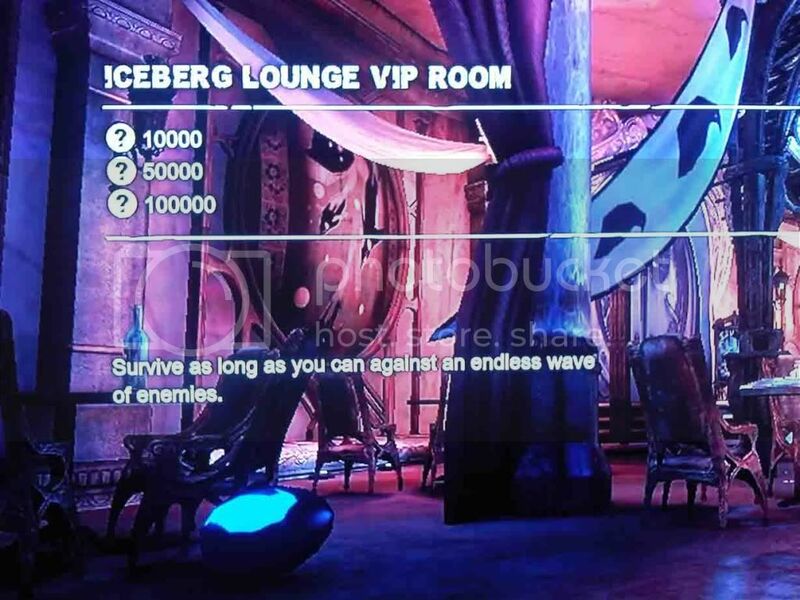 Pada interface permainan terlihat waktu ditengah layar (pada image sy hny memfoto sebagian agar bs terlihat,hehe) dan beberapa box yg mengindikasikan level,,paling bawah adalah level 0,di atasnya adalah level 1,kemudian level 2 dan terus hingga level 6..
Catwoman merupakan DLC yang bs langsung agan2 dapat jika membeli game nya baru sehingga mendapatkan redeem codenya,atau beli 2nd yg redeem code catwomannya belum digunakan. 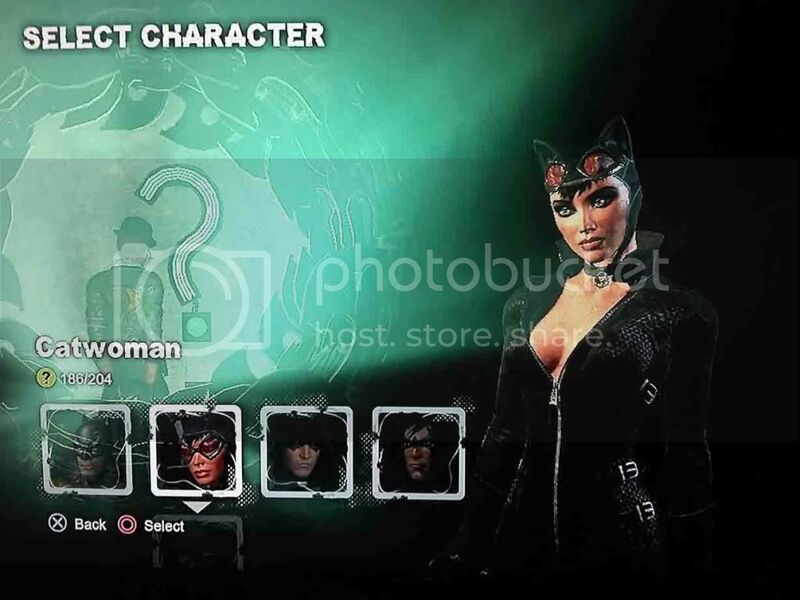 Catwoman sendiri bisa dikatakan mempunyai keterkaitan yang erat dengan main story. 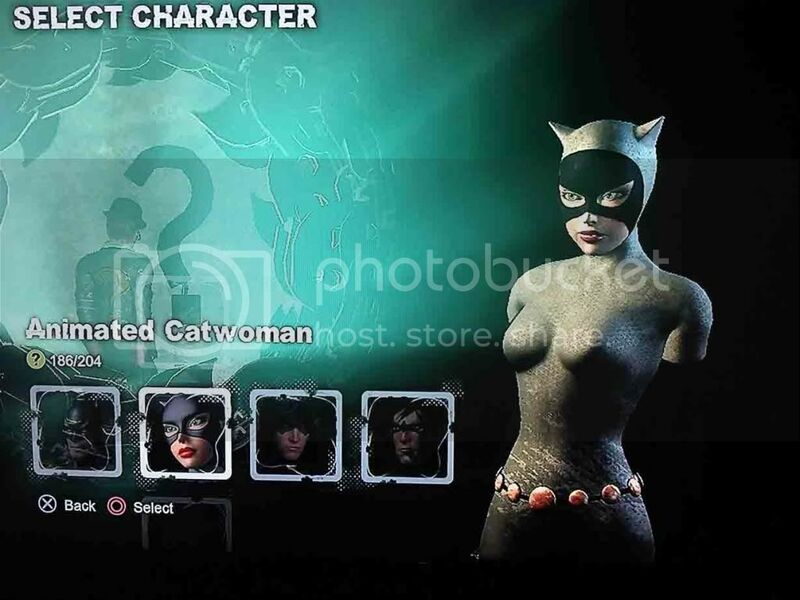 Jika agan sudah memiliki DLC ini sebelum memainkan New Game/ New Game+ maka pada beberapa point di game akan switching secara otomatis menjadi catwoman. 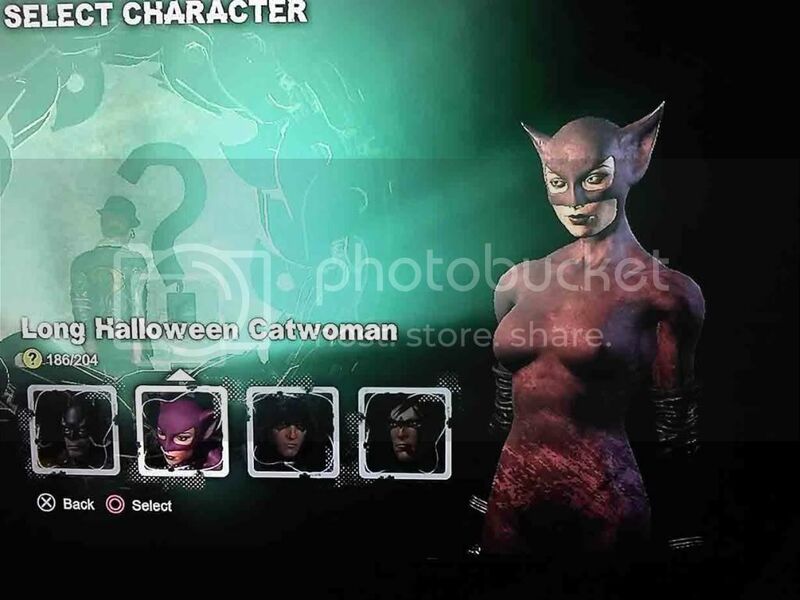 Namun jika sudah tamat,kita tetap bs free roaming dengan batman di arkham city dan akan muncul2 switch point yg ditandai dgn icon kucing..and its pink,hehe..
Catwoman memiliki attribute yang berbeda dengan batman. 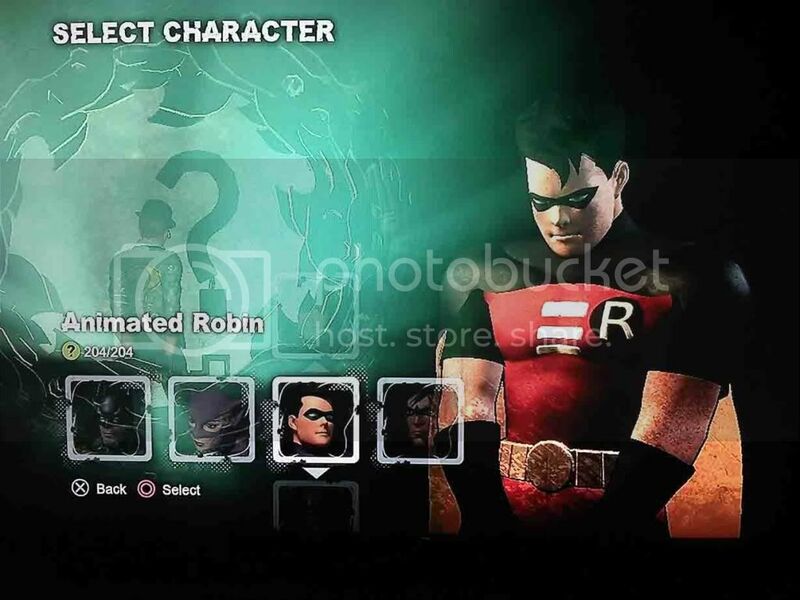 Robin merupakan karakter tambahan yang dapat diperoleh dengan membeli DLC ny via PSN atau xbox live. 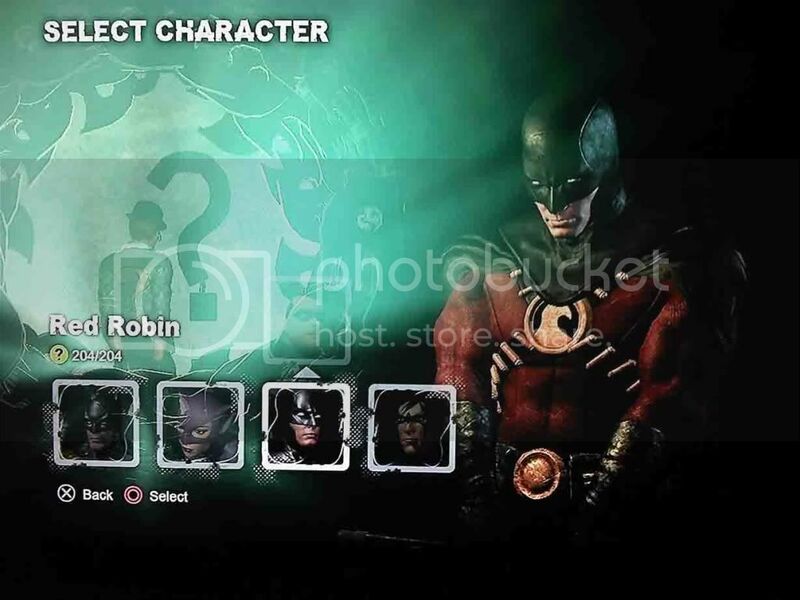 Ketika membeli Robin bundle DLC agan2 akan mendapatkan karakter Robin yang dapat digunakan pada Riddler's Revenge, mendapatkan 3 kostum robin, dan 2 tambahan challenge map, 1 predator map dan 1 combat map. 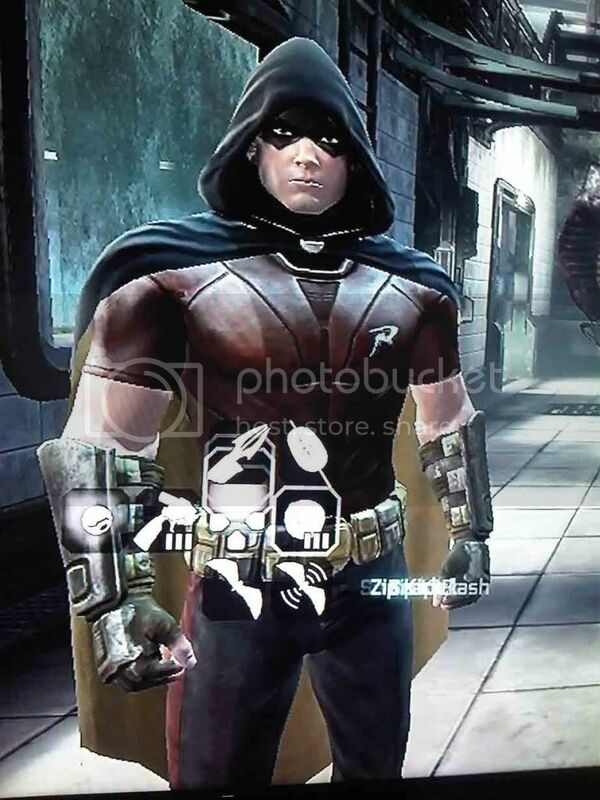 Robin sendiri tidak memiliki kaitan cerita yang besar dengan arkham city, namun sy melihat ada sedikit cerita tentang Black Mask yang ditampilkan..Jika agan memperhatikan,pada arkham city ada 1 challenge dari riddle yang menceritakan kaburnya black mask dari Arkham City melalui sebuah tunnel (gambar menyusul),ketika memainkan map tambahan yg diperoleh dari Robin Bundle DLC,kita akan melawan Black Mask diatas kereta. Robin juga memiliki atribute yang berbeda dengan batman dan catwoman. 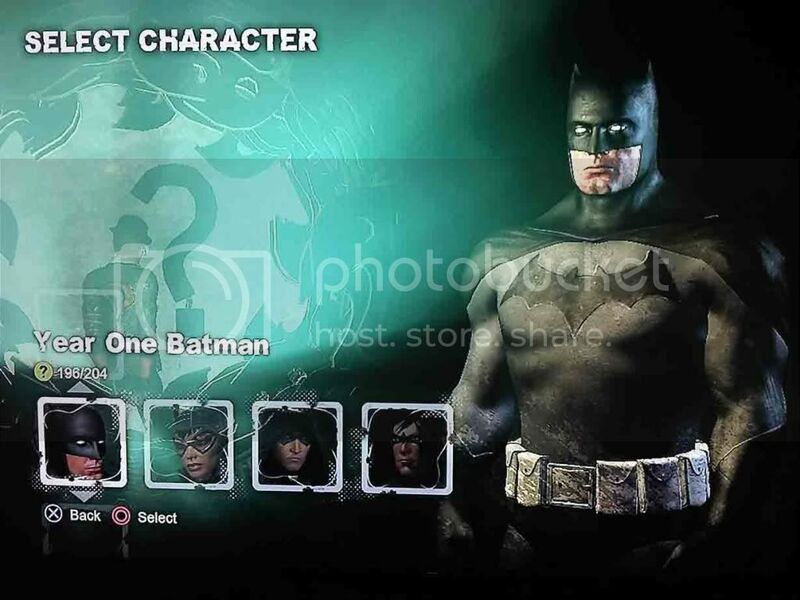 Wiii,,sesama penggemar batman arkham city,,halo bro! Jika diizinkan, boleh kah saya taro link ny di tret ini? gan, ada yg tau ga lokasi Mr. Freeze dmn? Maksudny gmn nih gan?agak bingung saya,hehe..
utk 2 point diatas klo ngikutin story line pasti ketemu. 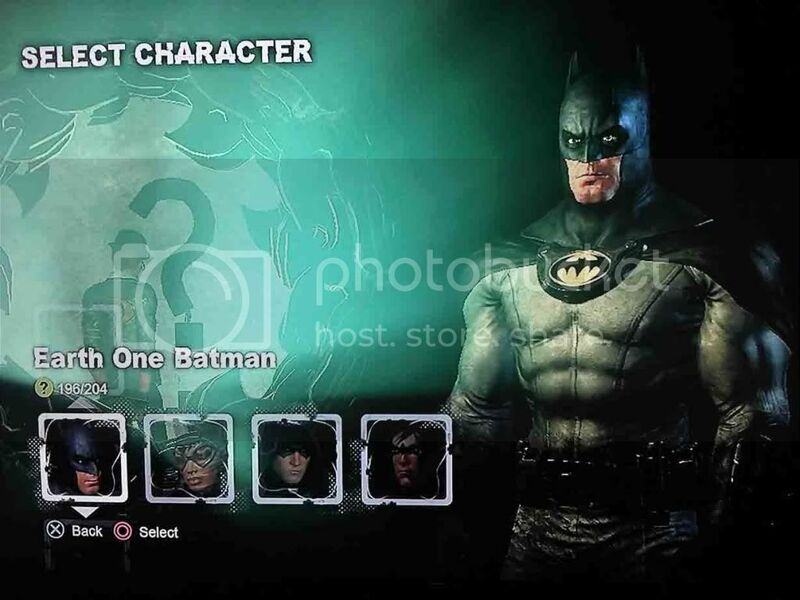 3. setelah brantem,, dia minta tlg cari istrinya,dalam sub misi "Heart of Ice"
kita balik lg ke GCPD bwt lapor,hehe..
klo mo dapetin skin batman yg baru & robin selaen download gimana ya?? Alo juga gann,,hehe,,makasih udah mampir dan kasih komen,hehe..
hmm,,stau saya cm donlod aj gan,emg mainnya dmn?PS3?XBOX?PC? cman ngga taw agan sudah Update Gamenya blom, ato main pake Bajakan ?? 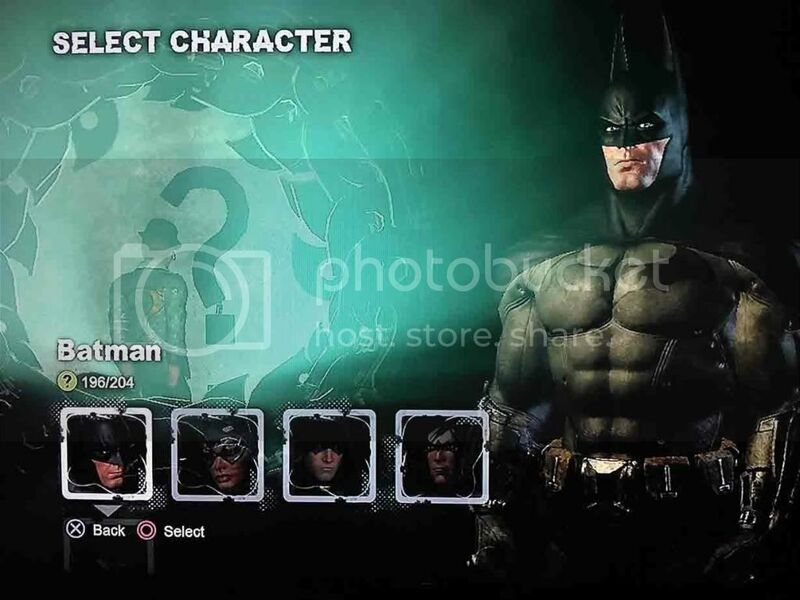 haha,,dulu sy juga bajakan ko console ny,tapi gara2 batman ini nih,,setelah berkontemplasi dan berfikir panjang lebarakhrny update firmware dan jadi original..